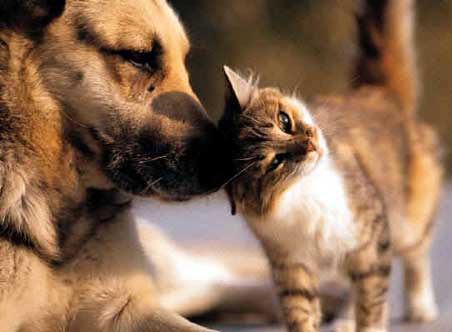 Dogs and cats can help clients laugh and create a sense of trust. With lack of trust being a benchmark of many addictions and personality disorders, this trust with a companion animal can be vital for clients. Companion animals can potentially develop and restore trust and thus make a huge difference in recovery. Perhaps most of all, a pet provides unconditional love and unconditional friendship! As clients progress through their phases of treatment, pets can improve mental health symptoms and to cope with many of the overwhelming restored emotions and feelings. A companion animal can help to facilitate a bond and sometimes override the client’s initial defenses by offering a talking point. More generally, a relaxed atmosphere develops with pets present, resulting in a bond between clients. Caring for a pet shifts focus to something outside of the individual, and pet ownership helps clients stay physically active, reducing the risk of depression that often haunts early recovery. Call to speak with an Admissions Specialist about our Pet Friendly Treatment Options in California. Additional Cost: Under 15 Pounds: $2500, over 15 Pounds: $4500. These costs are required due to damaged property and added insurance cost. Requirements: Must have current shots/vaccinations, have homeowners/renters insurance, and the animal must be approved by Solutions 4 Recovery management.